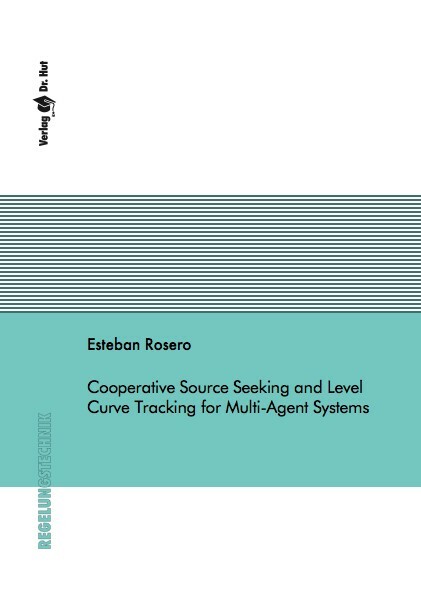 In this thesis, the cooperative source seeking and the level curve tracking problem using a group of agents under an undirected constrained communication topology are addressed. To solve it, distributed control algorithms enabling agents to drive towards an unknown scalar field’s source or to move along a desired scalar field’s level curve are proposed. Each agent estimates a gradient direction based only on neighbouring agents’ relative position information and scalar field’s concentration values at their own location. The control algorithms presented are based on both a formation-control component (keeping agents in a desired geometric driving pattern) and a trajectory control component (steering agents in the source’s direction or along the desired level curve). Along this work single and double integrators are considered, as well as linear time invariant and non-holonomic systems. Stability conditions and simulation results are provided.